2012.B.1.2. 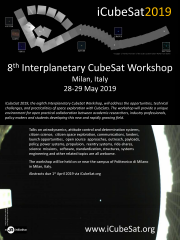 Open Questions in the Outer Solar System: CubeSat/ChipSat Opportunities? The planets and moons and rings and magnetospheres of the outer solar system are rich in targets of broad interest. Yet the outer solar system is a challenging place to explore, and visits by spacecraft have been seldom compared to Mars and other inner solar system targets, partly due to high launch costs for massive payloads and high risk profiles. We will review some of the open questions in the outer solar system, some of which may be particularly amenable to investigation via a cadre of low-mass disposable spacecraft.